Pour apple juice and apple cider into a large boiling or soup-making pot, then stir both white and brown sugars and 8 cinnamon sticks in. Keep on low heat to simmer. Stir frequently. Remove from heat after 30 minutes and let the mixture cool completely. Add a single cinnamon stick to each quart jar or container. 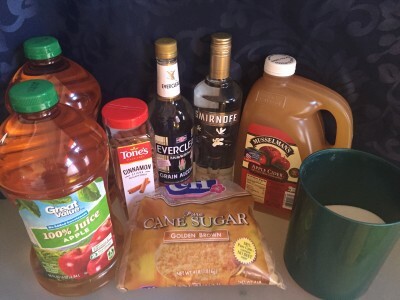 When your apple pie moonshine mixture is cool to the touch, add Everclear Grain Alcohol and Vanilla Vodka. Stir. 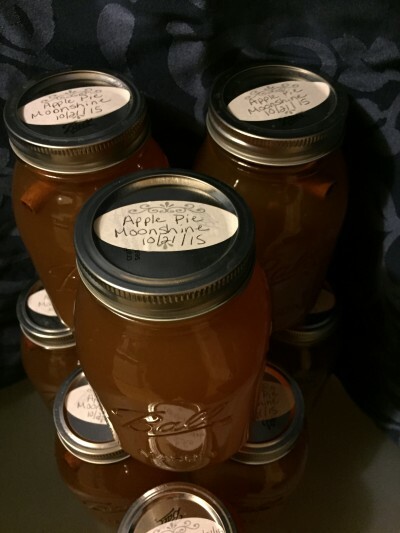 Be sure to keep your apple pie moonshine in a cool, dark and dry place — you can refrigerate it if you don’t have a spot that’s quite cool enough. The longer you have it, the better it tastes! Enjoy!